D Rank Mission - You got mail, man. 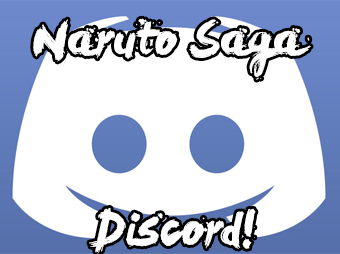 Naruto RP Saga » Hi no Kuni » Konohagakure » D Rank Mission - You got mail, man. Airi tucked the letters away she had received for the mission. She found it somewhat curious she was only given three letters while the mailman's carry bag was filled to the brim, but since this was all he wanted to part with, she shrugged, smiled and thanked him, returning a mokuton created flower as he handed her the letters. It was what it was. The mailman wasn't too sure what to do with the flower, smiling sheepishly so as not to break her heart, and departed his way as Airi walked hers. The first one to receive a letter was Lee. No idea who that was, but his address was written clearly upon the letter and it was a place she knew. She had passed through the street countless times as she went to see the wild lavender patches growing not too far off. Thinking about them, Airi shaped a crown of flowers around her head, holding several blue and purple flowers, of which one was the lavender she was thinking about. The sweet scent of the flowers surrounded her, and she could feel their refreshing and calming effect take hold. As she arrived at the first house, she knocked on the door and a young man opened. As if love-struck on first sight, his bubbly enthusiasm to receive a letter from Airi was a little over the top as he seemingly monologued about her bringing a love letter as a sign of her undying love for him. Airi chuckled softly, but was otherwise not really impressed by his looks attitude or even his age, yet offered him the letter with one of her flowers on top of it and smiled softly. "I'm sorry, I'm just the mail girl delivering it, really." Disappointed at not being offered the love of his life, the man grunted something of a thanks and closed the door without so much another word. Airi sighed, feeling a pang of pity for him and then left the deliver the next letter. Yen. Another person she didn't know, but the address was once more a familiar one. This one had various small private zen gardens filled with bonsai, shrubs and pieces of bark. The people there were quite well off, so she expected to meet a a girl of status. As she knocked on the door, a guy opened the door, dressed in the garb of a doushin. He looked askance at Airi. "A letter for you, sir. The mailman requested some help. ", she offered him the letter and a warm smile. 'Yen' accepted the letter with a thank you, congratulating her on her helpful nature and patted her head with pride. A job well done, Airi beamed, her hair seemingly gaining a brighter colour as if the sun suddenly had decided to illuminate it just a tad more. Waving as she walked off, there was now one letter to go. Kei. The address didn't seem as familiar as the other two, but she knew it was somewhere in the centre district of the Village. A merchant perhaps? She wasn't sure, and since she couldn't link anything floral to the street, she had some trouble finding the street she was looking for as well. Perhaps she'd have to plant a tree here some day, it would make things easier. And prettier. In the end, she found the street and what seemed to be a rather secluded shrine. Knocking on the door, an older man opened up and stared intently at her before apologising for his bad eyesight. "I'm helping out the mail man today, and I got a letter for you. ", she replied, smiling, as she handed over the letter with a some ivy on top of it. He nodded, accepted it and eyed the plant for a moment. On and on it went for hours as she listened to the old man's tales and poured out his need for company. 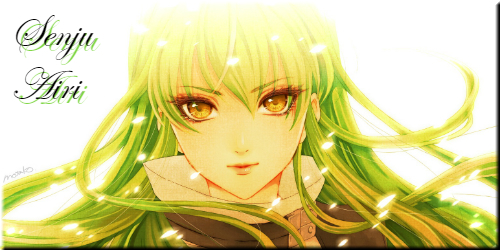 Airi returned the attention in kind until the sun was getting rather low upon which she politely told him she had to go so she could turn in her mission. With disappointment, he accepted, and Airi left. Arriving at the postal office, the administrator looked at her with a raised eyebrow, asking her what took her so long to deliver three letters. She smiled sheepishly and explained, "Well, my last delivery was for an old man, and since he seemed to need some company, I listened to his stories."